Flooding From Intense Rainfall (FFIR) is a 5 year NERC funded programme which aims to reduce the risks of damage and loss of life caused by surface water and flash floods through improved identification, characterisation and prediction of interacting meteorological, hydrological and hydro-morphological processes that contribute to flooding associated with high-intensity rainfall events. There are three projects within the FFIR programme, directed by the University of Reading, Project FRANC, Project SINATRA and project TENDERLY. Reasearch summaries are available here: Flooding From Intense Rainfall Summaries. Brief periods of intense rainfall can lead to flash flooding with the potential to cause millions of pounds of damage to property, and to threaten lives. Accurate flood warnings even just a few hours ahead can allow preparations to be made to minimise damage. In order to improve the prediction of these events, more accurate forecasts of heavy rainfall are needed, and these can then be used to inform flood prediction and warning systems. The UK Met Office is developing a new numerical weather prediction system with the goal of improving severe weather forecasts, and this will enable a more accurate representation of fine-scale features and explicit representation of storms. However, the results are still dependent on the accuracy of the initial data describing the current state of atmospheric variables such as winds, pressure, temperature and humidity. These initial conditions are usually estimated using a sophisticated mathematical technique known as data assimilation that blends observations with model information, taking account of the uncertainties in the data. This project will involve fundamental research to reduce these initial condition errors by exploring new techniques to extract the maximum amount of information from observations of winds, temperature, precipitation and moist processes. A paper on the FRANC project is available here. For more information contact FRANC Project Director Sarah Dance: s.l.dance@reading.ac.uk. Extreme rainfall events may only last for a few hours at most, but can generate terrifying and destructive floods. 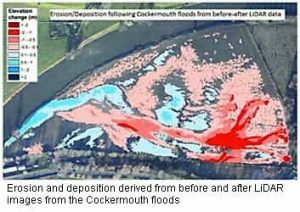 Their impact can be affected by a wide range factors (or processes) such as the location and intensity of the rainfall, the shape and steepness of the catchment it falls on, how much sediment is moved by the water and the vulnerability of the communities in the flood’s path. Furthermore, FFIR are by their nature rapid, making it very difficult for researchers to ‘capture’ measurements during events. The complexity, speed and lack of field measurements on FFIR make it difficult to create computer models to predict flooding and often we are uncertain as to their accuracy. In addition there is no consensus on how to identify how particular catchments may be vulnerable to FFIR, due to factors such as catchment area, shape, geology and soil type as well as land-use. Additionally, the catchments most susceptible to FFIR are often small and un-gauged. (1) Increase our understanding of what factors cause FFIR and gathering new, high resolution measurements of FFIR by: assembling an archive of past FFIR events in Britain and their impacts, as a prerequisite for improving our ability to predict future occurrences of FFIR; making real time observations of flooding during flood events as well as post-event surveys and historical event reconstruction, using fieldwork and crowd-sourcing methods; and characterizing the physical drivers for UK summer flooding events by identifying the large-scale atmospheric conditions associated with FFIR events, and linking them to catchment type. (3) Use these new findings and predictions to provide the Environment Agency and other professionals with information and software they can use to manage FFIR, reducing their damage and impact to communities by: developing tools to enable prediction of future FFIR impacts to support the Flood Forecasting Centre in issuing new ‘impacts-based’ warnings about their occurrence; developing a FFIR analysis tool to assess risks associated with rare events in complex situations involving incomplete knowledge, analogous to those developed for safety assessment in radioactive waste management. For more information contact SINATRA Project Director Hannah Cloke: h.l.cloke@reading.ac.uk. and risk management through the gathering of high quality scientific and community sourced data. For more information contact Co-directors Hannah Cloke: h.l.cloke@reading.ac.uk or Sarah Dance: s.l.dance@reading.ac.uk.